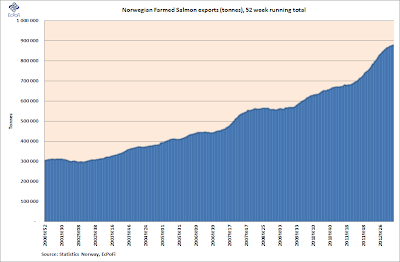 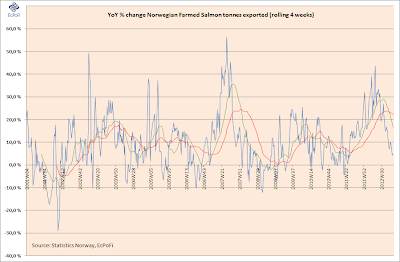 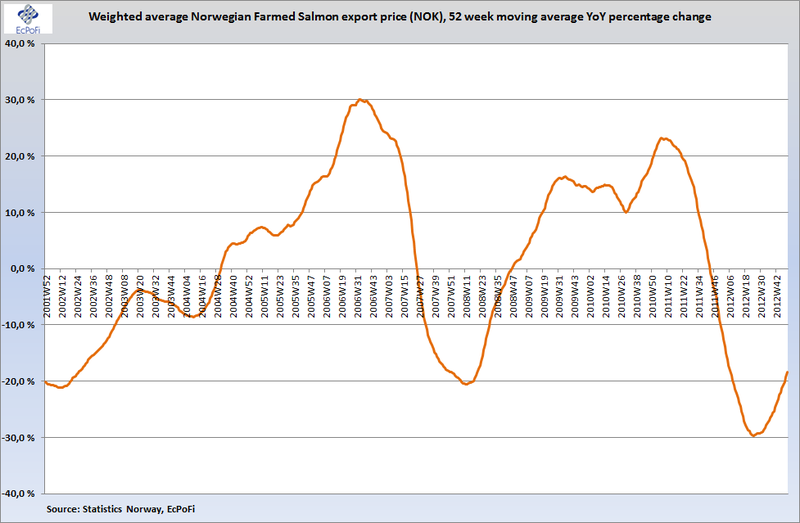 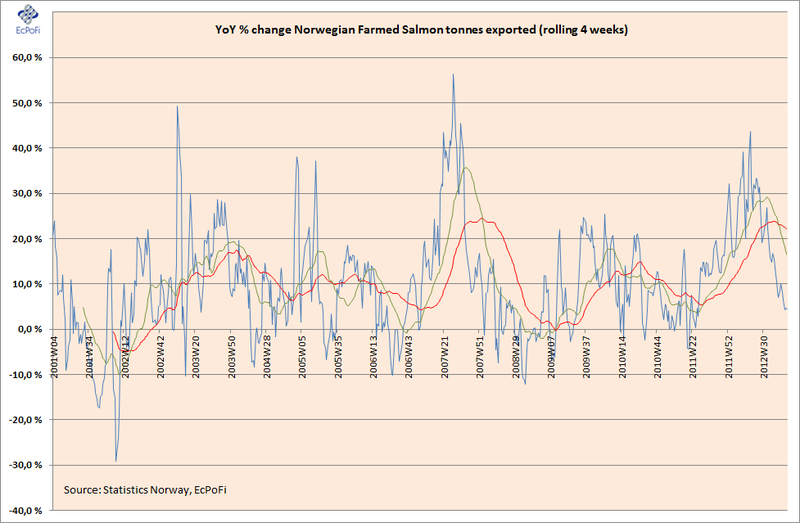 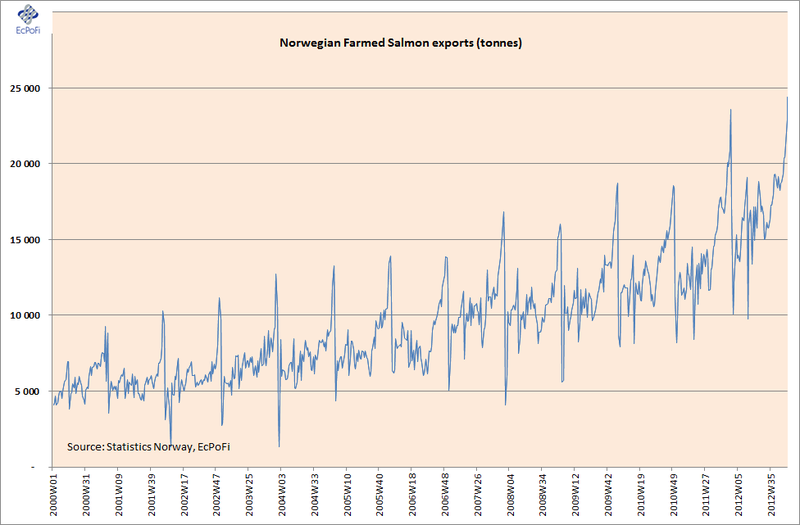 The tonnes exported of Norwegian farmed salmon hit a new record in week 50 numbers released today by Statistics Norway show. 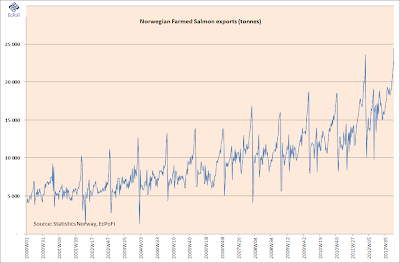 Tonnes exported for the week of fresh/chilled and frozen farmed salmon hit 24,446 tonnes beating the previous all-time high volume of 23,609 tonnes set in week 50 last year. 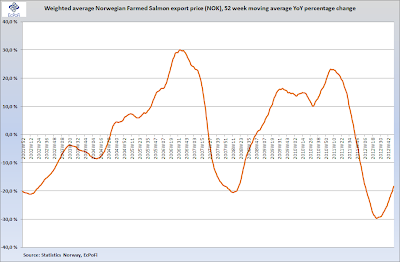 For a complete update of volume, price and export value for the week please see the Weekly Seafood Update report and for an update as of the year-to-date numbers please see the YTD Update.